Its not just better, its perfect. All the benefits of Cryoderm in a warming lotion. There are 86,400 precious seconds in a day. Why spend any of them in pain? 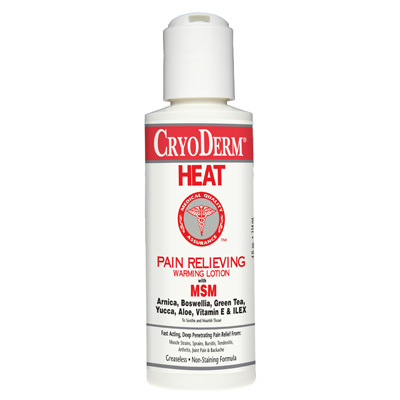 CryoDerm Heat Pain Relieving Warm Therapy Lotion is the one used across the USA by chiropractors, massage therapists, physical therapists and sports teams to help relieve muscle and joint pain. It goes on warm and then almost creates a "mask" helping to block the pain. 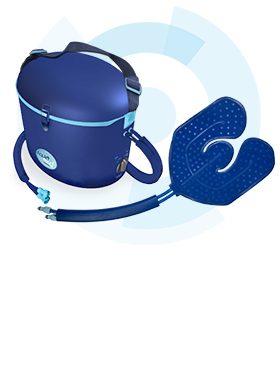 Cryoderm Heat can also be used in Ultrasound Therapy as an approved coupling gel or lotion. The Cryoderm Heat Lotion contains Capsaicin which aid in the creation of the heat. 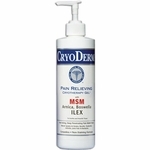 CryoDerm Heat has become a favorite topical analgesic amongst arthritis back pain sufferers because it works fast and provides soothing relief. Whether you suffer from muscle sprains & strains, bursitis, tendonitis, fibromyalgia, arthritis, back aches or other joint pain, you should try CryoDerm Heat pain relieving lotion. Fast Acting, Deep Penetrating Pain Relief. 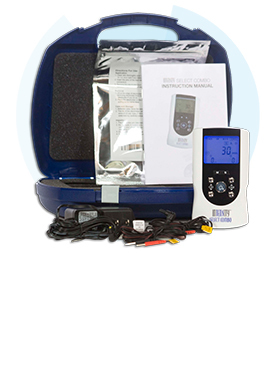 Pain relief for muscle sprains, strains, stiff sore muscles, arthritis, joint pain, and more. To reduce bruising and inflammation. A natural COX-2 Enzyme Inhibitor (Reduces inflammation and has anti- arthritic actions). Capsaicin derived from chili peppers (created Heat) depletes presynaptic substance P a neurotransmitter leading to the reduction of pain and blockade of neurogenic inflammation. Once capsaicin is removed, the neurons return to normal. 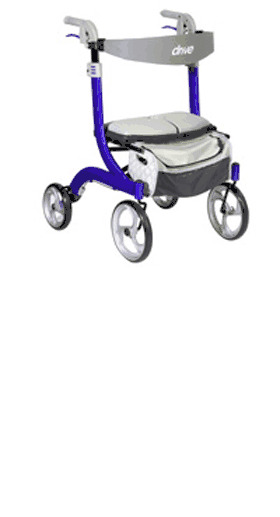 Releases muscle spasm and reduces inflammation. A naturally occurring essential nutrient found in healthy tissue and joints (Increases topical membrane penetration, is an anti- inflammatory and local analgesia). Vitamin E, antioxidant with moisturizing qualities, slows the degeneration of cells, and promotes cellular renewal. Apply directly onto affected areas. Gently massage a thin layer into the muscle or joint until absorbed into skin. When treating an injured area or joint, make sure to completely coat the entire area. Repeat as necessary, but do not apply more than 4 times daily. 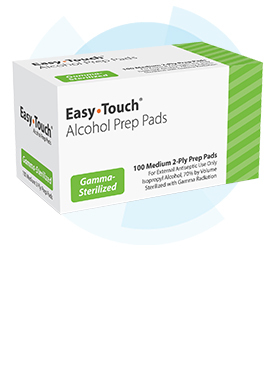 Active Ingredients: Menthol USP (3.85%), Camphorl USP (3.85%), and Capsaicin (0.0355%). Inactive Ingredients: Aloe Vera, Arnica Extract, Boswellia Serrata Extract, Green Tea Extract, Carbomer, Cetearyl Alcohol, Cetearyl Glucoside, Orange Fruit Extract, Grapefruit Extract, Dimethyl Sulfone (MSM), Ethylhexylglycerine, Glycerin, Ilex Paraguariensis Extract, Phenoxyethanol, Purified Water, Rose Extract, Vitamin E, Triethanolamine, Yucca Extract. In case of accidental ingestion, get medical help or contact a Poison Control Center right away. If pregnant or breast-feeding, ask a health proffessional before use.